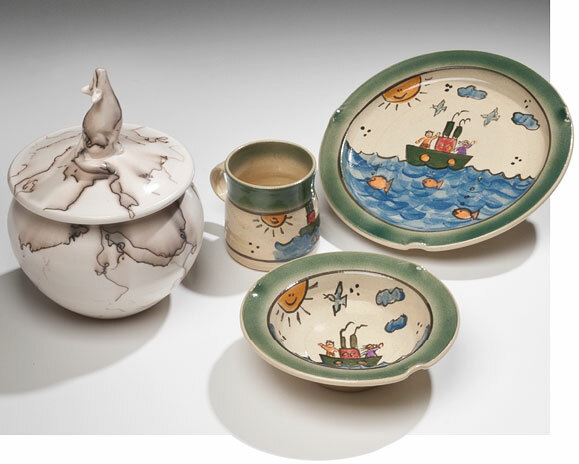 Aldrich Valley Pottery New at Easel Street this fall. They create the design on their pots with horse hair and feathers. This is their child's dish set, we have both girl's and boy's sets as well. Microwave, oven and dishwasher safe. 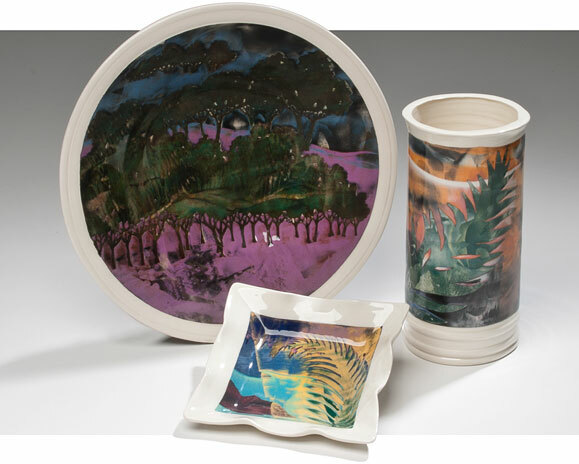 Ken Chernovitch This beautiful scenic platter, vase and small tray are just a few of his signature pieces we have in the galleries. 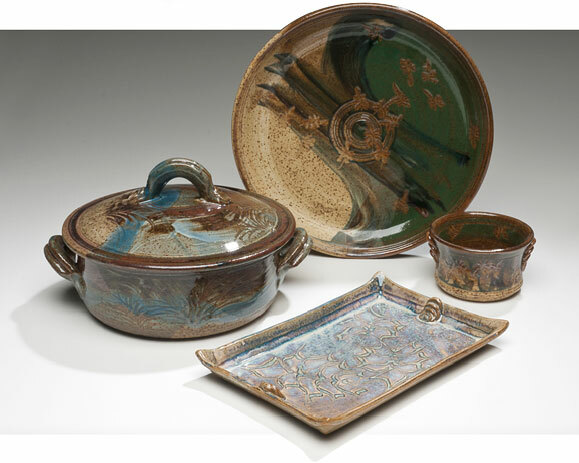 Steve Jorgenson Distinctive and finely crafted functional art, this pottery is a delight to use. Microwave, oven and dishwasher safe. 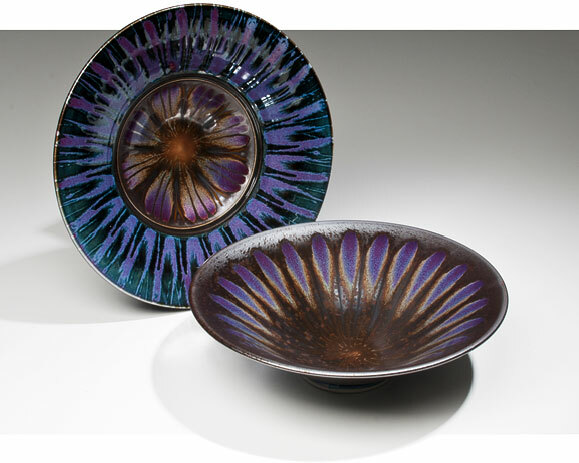 Marc Matsui Gorgeous bowls to use for serving or simply to enjoy when displayed on a wall. 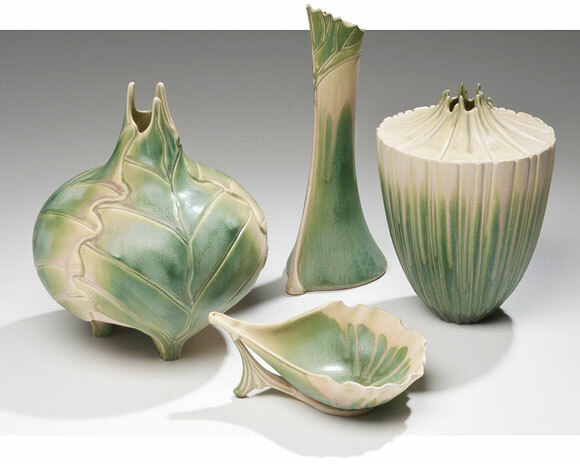 Newman Ceramic Works Organic nouveau with beautiful glazes.